Colonel Patrick Kelly was a beloved Union commander who led the Irish Brigade into the Wheatfield at the Battle of Gettysburg. Colonel Patrick Kelly, who led the Irish Brigade into the Wheatfield on the second day of the Battle of Gettysburg, was born in Castle Hackett, County Galway, in 1821. Orphaned at the age of nine, he emigrated from Ireland to New York in 1850. At the outbreak of the American Civil War, Kelly, a Brooklyn merchant and a widower since 1858, enlisted as a private in the 69th New York Militia’s Company E, but was soon promoted to Lieutenant. 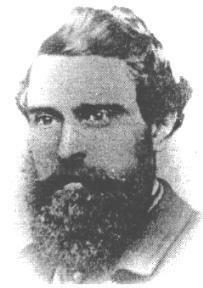 Kelly fought at the Battle of Bull Run with the 69th and was subsequently appointed a captain in the 16th U.S. Infantry. But when Thomas Francis Meagher, then raising the Irish Brigade, offered him the rank of lieutenant colonel of the 88th New York Infantry, Kelly accepted. On June 1, 1862, Kelly led the 88th into its first battle at Fair Oaks, Virginia. In this and subsequent actions during the Peninsula campaign, he established a reputation as a brave and capable commander. At the Battle of Antietam, Kelly lost a third of his men in stubborn fighting at the famed Bloody Lane. After the Battle of Gettysburg, Colonel Kelly successfully led the Irish Brigade through the Bristoe Station and Mine Run campaigns. As winter set in, he returned to New York on recruiting duty and remained there until the following spring. At Cold Harbor, on June 3, 1864, Irish Brigade commander Colonel Richard Byrnes was mortally wounded, and Patrick Kelly once again returned to command the brigade—but not for long. Kelly led from the front, and, as with many other officers, his luck ran out. The men of the Irish Brigade were less restrained, and one wrote that “strong old veteran soldiers wept like children and wrung their hands in frenzy” following the death of their popular commander. Kelly was so well regarded in the Army of the Potomac that a redoubt in the Petersburg siege lines was officially named “Fort Patrick Kelly” in an order issued by army headquarters on September 23, 1864. Colonel Patrick kelly was one of the solid mid-level officers who provided the backbone of the Army of the Potomac, and was a credit to the countries of his nativity and of his adoption. Honored in life, Kelly’s heroism had faded into the mists of time, largely forgotten, even by Civil War buffs. He has always deserved better. Tags american civil war, Army of the Potomac, Battle of Antietam, Battle of Bull Run, Battle of Gettysburg, Fredericksburg, Irish Brigade, Patrick Kelly, Winfield Scott.